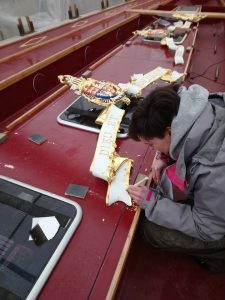 In January 2018 until March 2018 we undertook restoration work to the beautiful Queens Royal Row Barge called Gloriana. 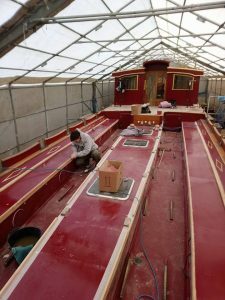 It was an absolute dream to work on this project and even though I am an experienced and qualified painter and decorator I learnt many new things throughout each day. 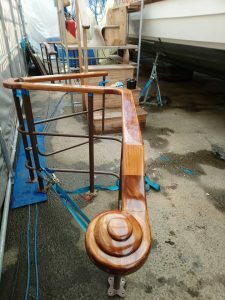 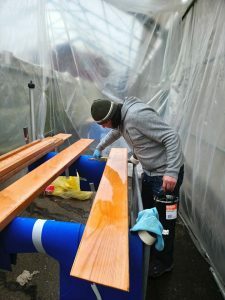 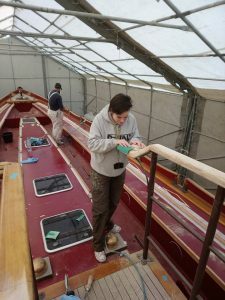 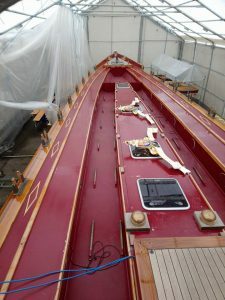 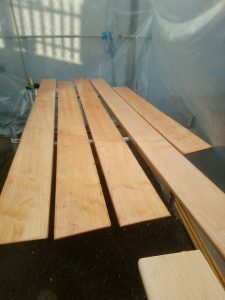 I had never varnished a boat before and attention to detail was key, each brush stroke had to be laid off the correct way with the right temperature throughout. 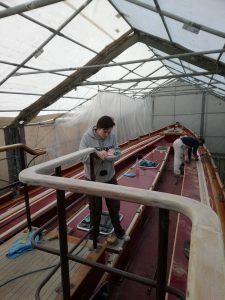 That was very tricky considering the snow we had! 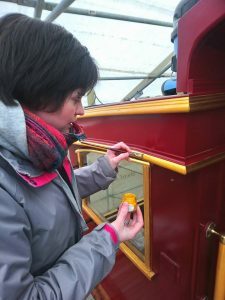 I even had a go at Gilding! 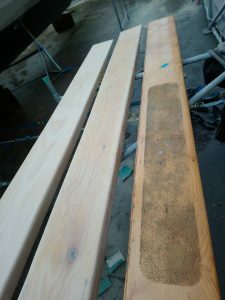 Perseverance and patience paid off! 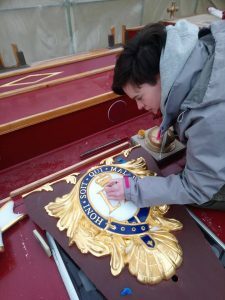 One happy project manager of the Gloriana and one very happy decorator!